Be ready to charm your way wearing this turquoise blue colored saree. 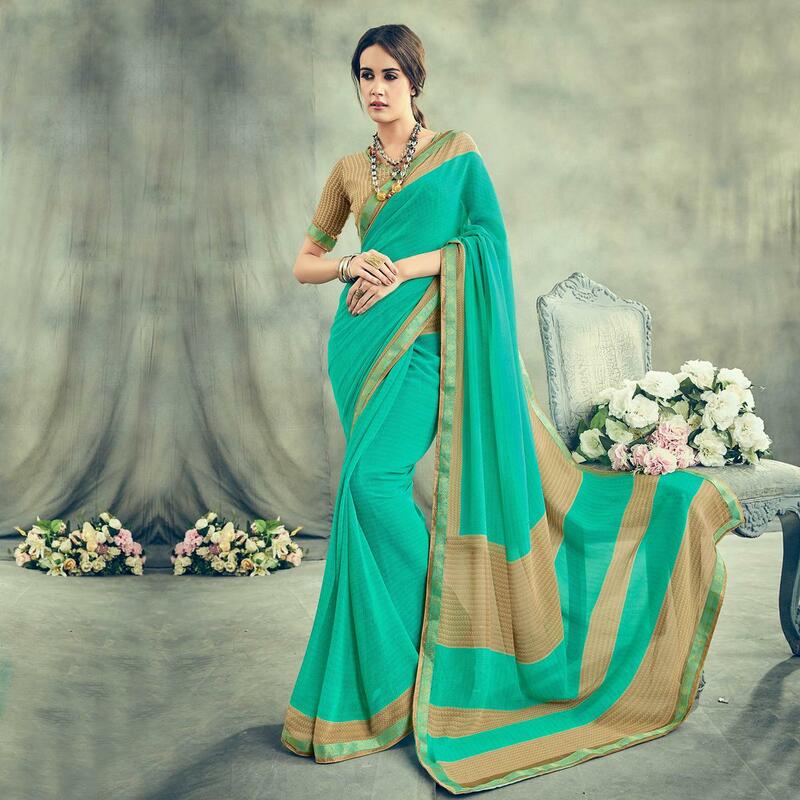 Blended from georgette fabric, this printed saree with lace border work is perfect for casual wear & social get together. It comes along with an unstitched printed blouse piece. Suitable to wear for family functions, social outings and parties. Team it with classy accessories to make your looks more beautiful.